Break the plates into smaller pieces with a hammer. The pieces don’t need to be even or equal in size, but you need to be safe, so wear safety goggles and place the plates under cardboard or heavy fabric before you take a hammer to them. Create a design you like on the tabletop without glue. You can create a picture, a spiral pattern, or whatever strikes your fancy. 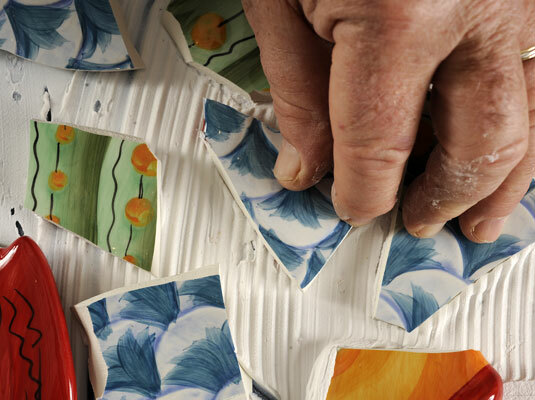 Remove the pieces from the dry layout in an orderly manner. Try to keep the pieces in the same places. Essentially, you must move your design intact from the table to somewhere else so you can apply adhesive to the table. 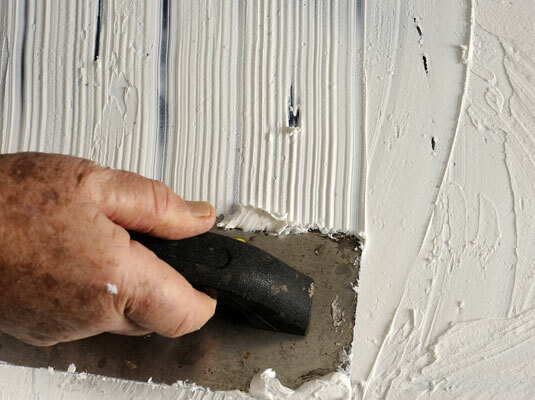 Use a notched trowel to apply tile adhesive to the tabletop. Using the trowel’s notches to “rough up” the adhesive helps the plate pieces stick better. Set the broken pieces into the adhesive and let it dry according to the adhesive instructions. 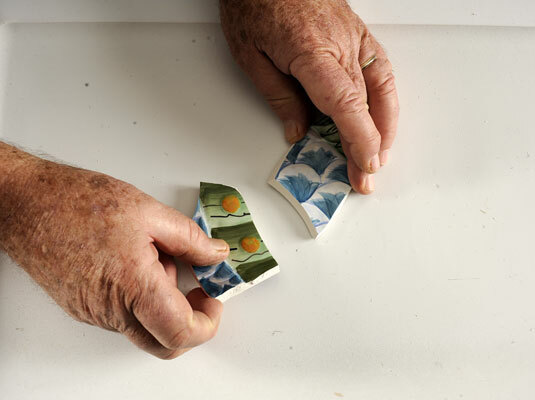 Use a slight twisting motion to set the pieces in the adhesive. Don’t slide them into place. 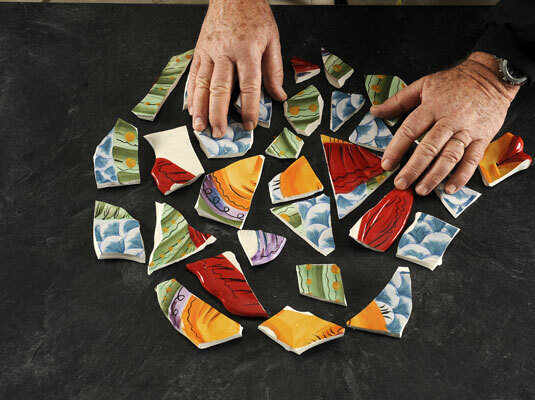 Use a rubber-backed trowel to apply premixed grout to the mosaic top to fill in the spaces between the broken pieces. After the adhesive has dried, fill the gaps with grout. 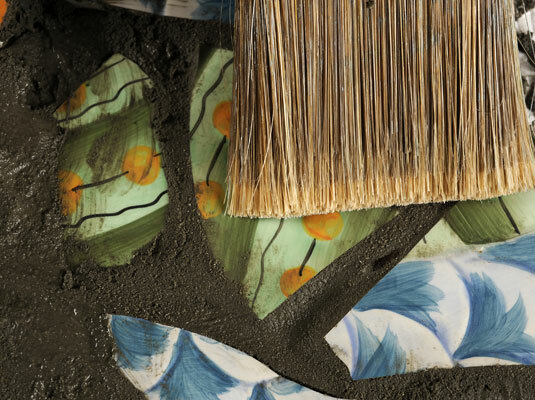 Wipe a damp sponge over the surface to remove most of the excess grout. Let the grout dry, then wipe the surface again with a damp sponge. 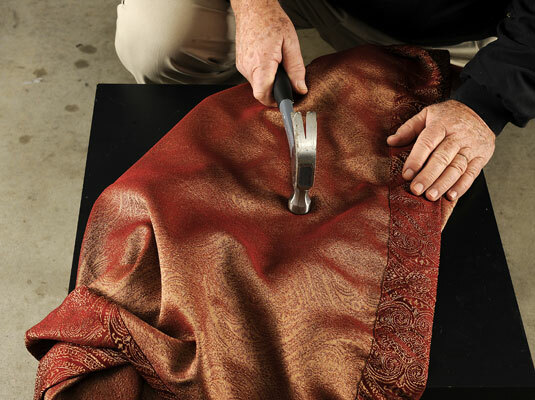 Before you seal the table, make sure that it is clean, dry, and good-looking. 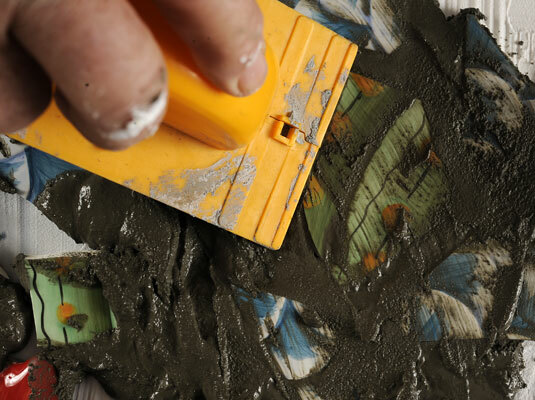 Let the grout cure according to the manufacturer’s instructions, then seal the tabletop with a tile and grout sealer to help protect the finish. Voilà! A new tabletop made from recycled plates!